Why Talk to a Lawyer after a bike accident in Wisconsin? Cyclists are legally entitled to use Wisconsin's roadways. Unfortunately accidents occur, often the result of someone else's negligence or carelessness. If you are injured or sustain property damage, you may have the right to present a claim for your damages. Often, important claims are overlooked or misunderstood. Insurance adjusters protect the rights of the insurance company. Your lawyer will protect your rights. Wage loss. Under Wisconsin law, loss of earning capacity is recoverable even if your employer continues to pay your wages while you are recovering from your injuries. Property damages, including the repair or replacement of your bicycle and its components and accessories. 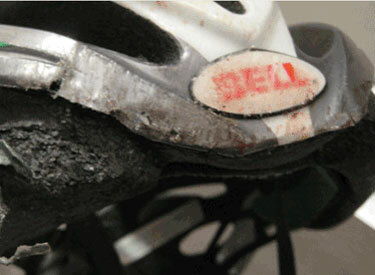 Property damage also includes damaged clothing, helmets, and equipment. Pain and suffering, and other non-economic damages. The world of insurance is a tangled web. The motorist’s insurance, your own auto insurance, your health insurance, and even your renter’s insurance can help. For that reason, it is important to seek legal advice as soon as possible after an accident occurs. The insurer of a driver causing an accident is responsible for paying the damages sustained by a cyclist. However many people are surprised to learn that if the driver is uninsured, the cyclist's own automobile insurance policy may provide uninsured motorist coverage, even when their automobile is not involved in the accident. Additional coverage may be available using the underinsured motorist portion of a policy. Often people don’t realize they have multiple forms of health insurance available. This could include a person’s regular group or private health insurance as well as the medical payment portion of their automobile policy and/or event liability coverage. Choosing the appropriate insurance to use after an accident can have a significant impact on an injured person’s total recovery. Many property damage claims are also covered by insurance. Even if your bicycle is damaged in an accident in which you are at fault or no one is at fault, or if your bicycle is damaged in transit or a race crash, the repairs or replacement may be covered under your homeowners or renters insurance policy. Many policies contain "full replacement value" coverage in which even a used bicycle can be replaced with a far more expensive new one. Bicycles can also be listed in the schedule of coverage of your insurance policy.